The clocks have changed, and it’s getting darker earlier, which is great news for tactical laser tag players in Glasgow! You can now book a ‘Night Ops’ when the tactical arenas are at their most atmospheric, with just enougth floodlighting to see by, and lots of dark shadows! Often the only way you can spot an opponent is by their muzzleflash in the darkness. In addition we have now completed work on creating 2 completely different tactical laser tag arenas at Combat City in Glasgow. We now have ‘The Barracks’ with 20 covered buildings including ‘Command HQ’,’ The Hospital’ and the ‘Mess Hall’ which are perfect for close quarter combat. Remember you can play Combat City whatever the weather, with 24 covered buildings giving shelter, and artificail turf offering a mud free laser tag experience, and floodlighting at night. We play all year round – except when there is ice or lightening! 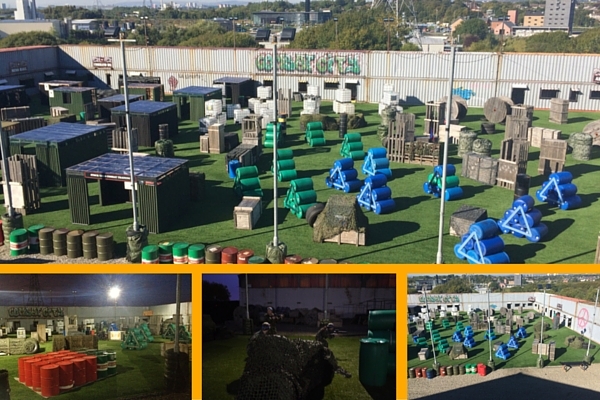 Book Combat City tactical laser tag arenas for your next laser tag party or office night out!